This Valentine’s day, show your loved one you care about the environment too! We’ve found six great gift ideas that celebrate love and protect natural resources. Honor the ones you love with a beautiful e-Valentine while your tax-deductible gift helps NRDC save the wildlife and wild places that are close to their hearts. At just $10 each, it’s the perfect way to celebrate all the special people in your life. Just choose your e-cards, add personalized messages and schedule them to arrive on the big day! 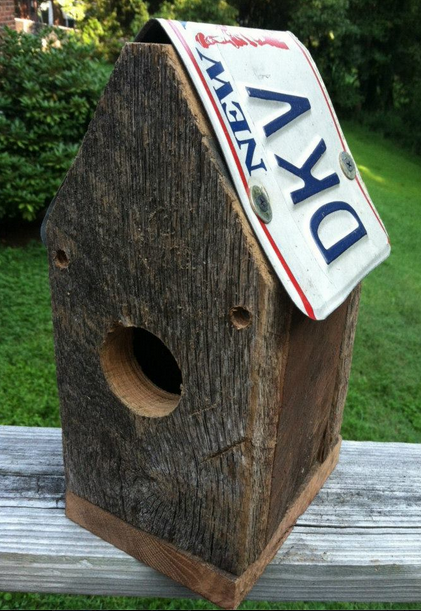 BIRD HOUSES, JEWELRY, CANDLES, AND MORE from BROWN EYED GIRL. Unique products for unique people! All natural materials and items made into great products you can use for years to come! Check out all their cool stuff on their website and Facebook page! In case you don’t say it often enough, or you take a lot of business trips, the Gentle Reminder Terrarium featuring a tiny figurine holding an “I Love You sign” can do it for you, albeit it in a novel, otherworldly way. Select your figurine to receive either the Male figure or the Female figure. Heart of glass…. or just in case you LOVE wine! This Smart Glass exclusive is cut and shaped from a clear glass bottle, finished with a brass ring and 14K gold fill 16 inch necklace. Different, unique, and will be available only through Valentine’s Day 2013. Nothing says I love you like an empty bottle! Give a truly significant gift to protect Africa’s wildlife. With these collections, a donation is made to African Wildlife Foundation. You or your gift recipient receive a 1-year AWF e-membership, an AWF plush elephant or gorilla, and Endangered Species Natural Chocolate Bars. Proffering a heart for love, this sculpture by Luitpol inspires admiration. Luitpol treasures the elegance of aesthetic minimalism as he contrasts the fiery red glow of the heart with the luminous metallic glow of aluminum. Titled “Un corazon para un amor” in Spanish.